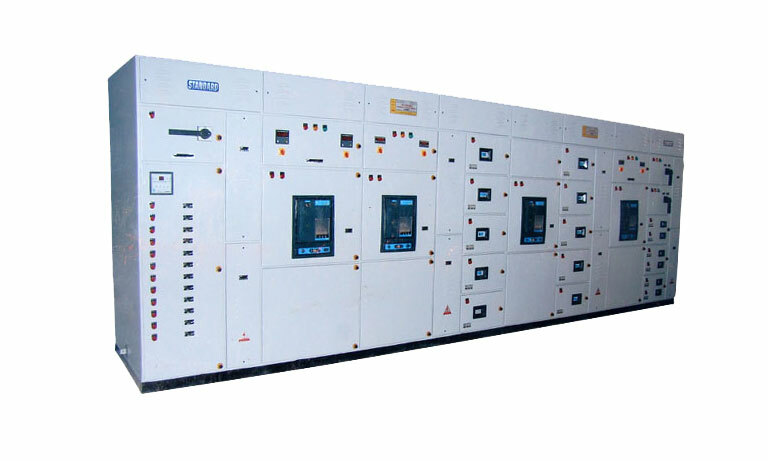 " Power Control Centers (PCC)"
Power Control Centers (PCC) are being designed and manufactured up to 6000A rating, suitable for operational Voltage of 415V in a 3 phase 4 wire distribution systems with an insulation voltage upto 660V at an ambient Temperature of 40 degree Celsius. The form of separation as IS 8623 is FORM IV. Short circuit withstand capacity is 50 kA and degree of protection IP: 52, both of these parameters are type tested. The switchboards offered are in Fixed and semi draw-out type configuration with single front design.